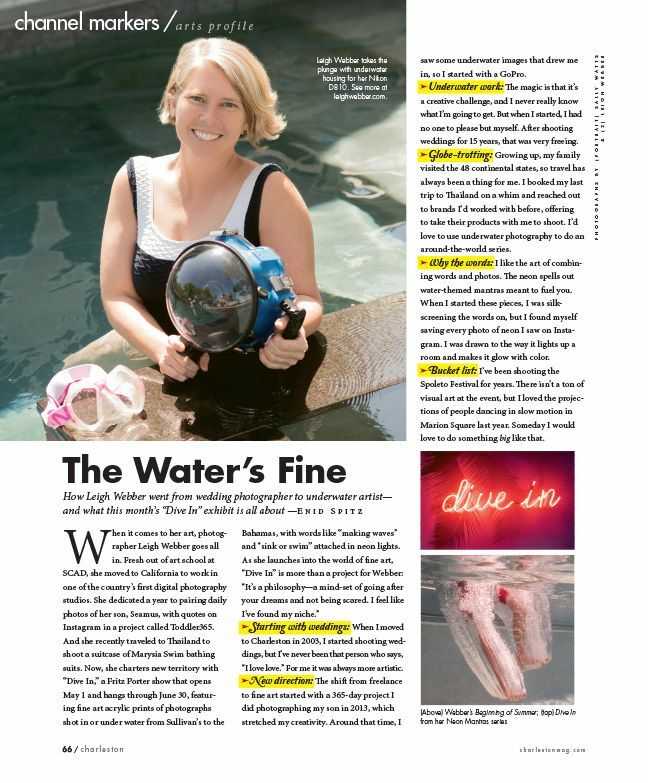 I am thrilled to be featured as the "Arts Profile" for the May 2018 issue of Charleston Magazine! Though I have photogrpahed for Charlesotn Magaizne many times over the years, this is the first time that I have been on the other side of the camera for them. I feel very honored to have "Dive In" featured as well as my upcoming show at @fritzporterchs & my desire to do “something big” (and awesome) for @spoletofestivalusa in the future!